First with Flair: MERRY CHRISTMAS!! Merry Christmas everyone! 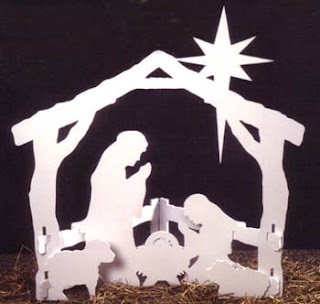 With all the commercialization of this Christmas holiday, sometimes we lose sight of what Christmas is all about. Remember that Christ is the reason! His birth, coming down from Heaven to be with man. What a gift!! Without Christmas, we lack the most important holiday...Easter and the gift of salvation. awww, merry Christmas, Ssssteve!! and thanks for the reminder, always! !